Home Press Release Kwentong Jollibee's Kahera named adobo magazine's 2016 Ad of the Year! Kwentong Jollibee's Kahera named adobo magazine's 2016 Ad of the Year! (From left): Jollibee Corporate PR and Events Manager Dennis Reyes, McCann Worldgroup Philippines Account Manager Tonee Lacson, Associate Creative Director Bong Legaspi, Jollibee Global Brand Chief Marketing Officer and PH Marketing Head Francis Flores, McCann Worldgroup Philippines Associate Managing Partner Mitzie Nacianceno, Jollibee Brand Communications and PR Director Arline Adeva, McCann Worldgroup Philippines Creative Director Xzenia Cruz, Jollibee Brand PR and Engagement Manager Cat Triviño, and McCann Worldgroup Philippines Business Group Director Adi Culalic with their adobo trophies given during the Mad About Awards event for #KwentongJollibee “Kahera”. Kwentong Jollibee’s “Kahera,” the Grandparents’ Day campaign of the country’s number one fastfood chain, was recently adjudged the 2016 Ad of the Year (AOY) by adobo magazine. The Ad of the Year awards showcases the most celebrated advertising work created in the past year, with the top three winners chosen from among adobo magazine’s top monthly picks via poll. Kahera, directed by Ianco dela Cruz, is part of the successful #KwentongJollibee series co-created with McCann World Group Philippines. It features the story of a Jollibee cashier who gets her daily dose of constructive and stern criticism from one of the store’s regulars, who turns out to be her very supportive grandmother. With over 9 million views on Facebook and YouTube to date, the digital ad has continued to receive recognitions from award-giving bodies in the industry. Besides bagging the AOY honor, Kahera also won adobo magazine’s Ad of the Month Award for September 2016. Earlier this year, the video was also recognized by Google PH as one of its top 10 most viewed ads, entering the YouTube Leaderboard for the second half of 2016. 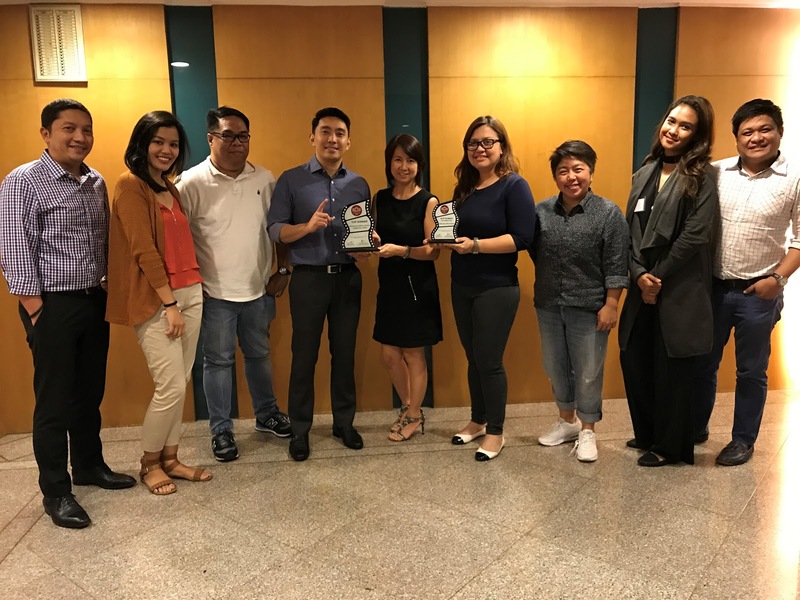 The video was also part of the Jollibee Grandparents’ Day campaign which won a Quill Award of Excellence from the International Association of Business Communicators, and a Silver Anvil award from the Public Relations Society of the Philippines.